stitch fix? What is that? WHAT DO YOU DO EXACTLY? HOW ARE YOU able to keep your career in fashion while being a stay-at-home mom? so many questions, BUT SO HARD TO EXPLAIN ALL WHAT I DO! COME IN TO MY OWN WORLD OF FASHION AND SEE WHAT I GET UP TO EVERY WEEK!. i STARTED OFF AS A WOMEN'S STYLIST. EVERYDAY IS A NEW CHALLENGE, EVERY WOMaN IS so DIFFERENT, HAS A UNIQUE STYLE, DIFFERENT BODY TYPE. I love the creativity that i can explore and venture to each individual. i LOVE THE FEELING OF CONNECTING WITH CLIENTS FROM ALL OVER THE UNITED STATES, WHILE ALSO GIVING THEM A COMPLETE PERSONAL STYLING SERVICE & HELPING THEM LOOK & FEEL THE BEST OF THEMSELVES. women love to explore unique styles & trends, colors and patterns. it's always fun to send a complete different fix from the last to give women a VARIETY in there closet. i STYLE ALL KINDS OF CLIENTS FROM LUXE, CLIENTS WHO LOVE A DESIGNER & BRANDS TO WOMEN WHO LOVE CASUAL YET COMFY CHIC PIECES FOR THE STAY-AT HOME-MOMS, WHILE BEING COST EFFECTIVE YET BEING ON TREND. iT'S SUCH A WIDE FIELD OF CLIENTS. i LOVE IT! stitch fix is also AMAZING at keeping up with the seasonal trends, don't be afraid to ask your STYLIST that you are looking for some cozy knits or spring dresses for the Upcoming season, that's what we are here for! i AM WHAT THEY CALL A "VETERAN PERSONAL STYLIST for men". 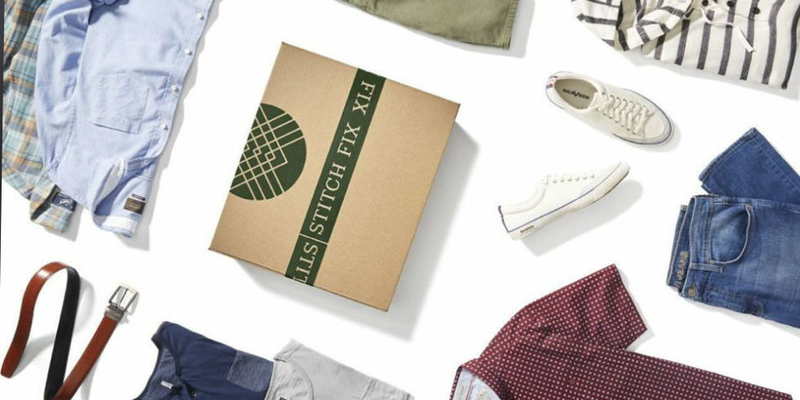 i HAVE BEEN WORKING AS A STITCH FIX MEN'S STYLIST FOR ALMOST 6 MONTHS NOW AND i LOVE IT! MEN ARE SO FUN TO STYLE FOR, SOMETIMES THEY ARE OPEN TO NEW STYLES WHILE OTHERS STICK TO THERE OWN PARTICULAR PREFERENCES AND THERE COMFORT ZONE WHICH IS PERFECTLY FINE! HOWEVER, ONE THING IS KEY, WHEN IT COMES TO ALL MEN, IS THEY ALL LOVE A GOOD FIT! men love a good tailored piece, whether a tee or pant. They are willing to have the same shirt in five colors as long as the fit & style is perfect for what they need. If you, or your partner is looking to step up his style game, OR wants to try a fun & easy way to shop without the hassle of shopping in stores, Then sign up below to schedule a fix! you can also request me to BE YOUR STYLIT, just a leave a little message in the stylist note! i Can't wait to get you started! For you Pinterest addicts! A fun way for your stylist to get to know you & your style better, is to create a Pinterest board, link it to your account & pin all your favorites from our Stitch Fix board, this way your stylist can hand pick items to your style & preferences. You can be sitting on your sofa, or waiting for a coffee while pinning your favorites to your Stitch Fix board. Super easy right? You can even mention it in your note, so your stylist will find you the same item or similar pieces according to your needs & wants! Have fun pinning away! That's the perks in having your own personal stylist!